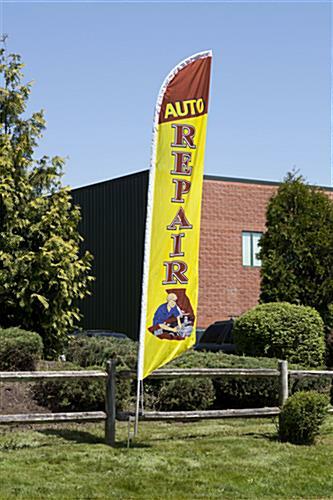 These Auto Repair Flags are Ideal for Storefront Advertising. This Display is Certain to Grab the Attention of Potential Customers. These Auto Repair Flags are Ready to Ship! Banner is printed on one side and dyed through for a mirror image on the backside. 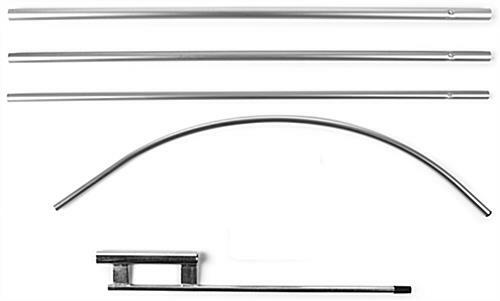 4-Piece aluminum pole for economical pricing and portability. 14' Height and brightly colored to create a presence. 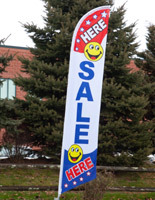 These auto repair flags that advertise car mechanic shops are sold at a wholesale price! These colorful eyecathers are sure to increase business and traffic within a mechanic shop. These auto repair flags are easy to use and transport. This swooper banner in combination with the curved pole is designed to stay open and not curl inwards or impede a customer's visibility. These auto repair flags that are 14 feet tall help car shops create a presence. This signage has a pre-printed message and a pictogram of a car shop mechanic. 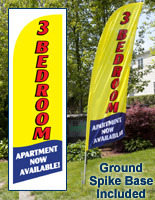 These message banners, auto repair flags that include a ground spike are for outdoor installation and can be relocated when needed. This car mechanic swooper is a cost effective solution for businesses to make customers aware of services available. 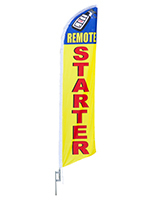 These auto repair flags are meant for outdoor use and can be installed into the grass or dirt with ease. Purchasers simply need a hammer to put the ground spike in the desired place. 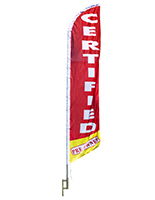 These auto repair flags set up in minutes and can be taken down at night or during inclement weather. This highly visible signage is meant to catch the eye of passing customers and make them look twice! These bright auto repair flags, also known as swooper displays, flutter in the wind. 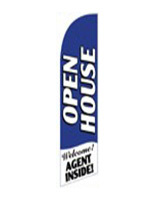 This car shop message swooper comes with a 4 piece aluminum pole that easily goes together. The pole goes together in order of decreasing diameter. 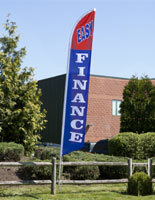 These auto repair flags are affordable because of the use of aluminum instead of a fiberglass pole. While fiberglass banner poles do not conduct electricity and move with the wind, aluminum has many great benefits as well. The included pole is light for portability and a fraction of the cost of fiberglass! 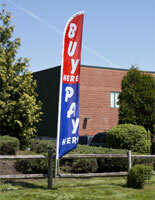 These swooper auto repair flags are a lofty 14 feet tall for a highly visible display. The included banner has a pole sleeve to simply slide onto the aluminum pole.